HTC Fetch is the official accessory from HTC that lets you find your missing phone at home. The Compact keychain device activates your phone ringtone within 15 meters. HTC Fetch connects with your phone via Bluetooth 4.0 and if you left the phone behind the device start warning beep. HTC Fetch is tiny device and can be used as a keychain. It will pair it with your device and act like your phone bodyguard. Suppose if left the phone somewhere on the sofa or bed and forget where you had put. In that case, you can use HTC Fetch to activate phone ringtone but range is limited to 15 meters. If you lose both phone and Fetch, then a convenient map location features lets you know where your HTC Fetch and phone were last together. HTC Fetch is not limited to security purpose only, this tiny thing can be used as a Remote camera shutter. You can use Fetch to capture photos without touching your phone, just open the camera app in your phone and you can use Fetch as a remote shutter. HTC Fetch use Bluetooth 4.0 to connect with the phone and its working range limited up to 15 meters. HTC Fetch uses CR2032 replaceable battery that gives you 6 months battery life. 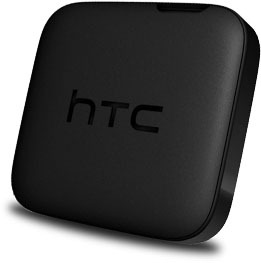 Right now HTC Fetch is available in black color only and its compatible with HTC One mini and HTC Butterfly S (i guess it should work with all HTC phones. No official announcement on pricing but it should be around $40.